Easy installation,beautiful and practical, high quality PP. Simple design, very convenient, suitable for all kinds of models. Do not take up space, beautiful and practical. Can put a water bottle, mobile phone, paper towels, etc. Creative design high quality and 100% brand new. Can provide you a clean and tidy environment in the car. It is an Ideal gift for your family and friends. 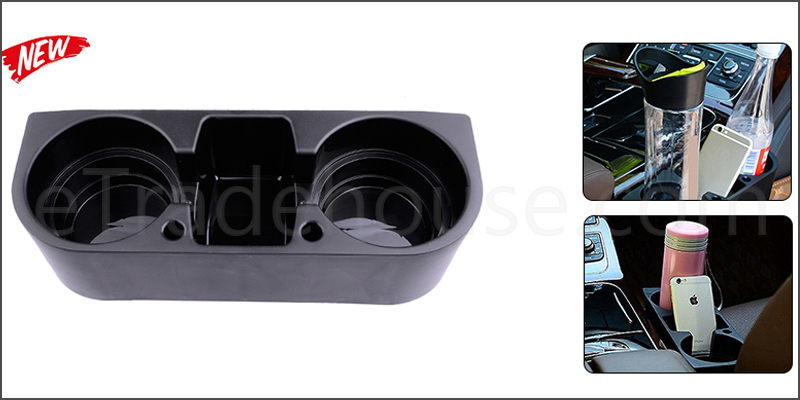 1x Universal Black Cup Holder..